The smell of fresh baked bread! 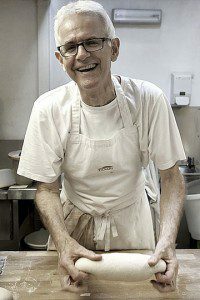 We have just given the “Coin Four” its Spring clean in readiness for welcoming our friend and baker Paul Merry next weekend. Paul and some of his students will be staying with us for a couple of weeks and we are looking forward to hosting them. As well as enjoying the fruits of their labours from the bread oven, we hope to share with them a glass or two of lovely Domaine L’Ancienne École wines. See more about Paul by clicking here.